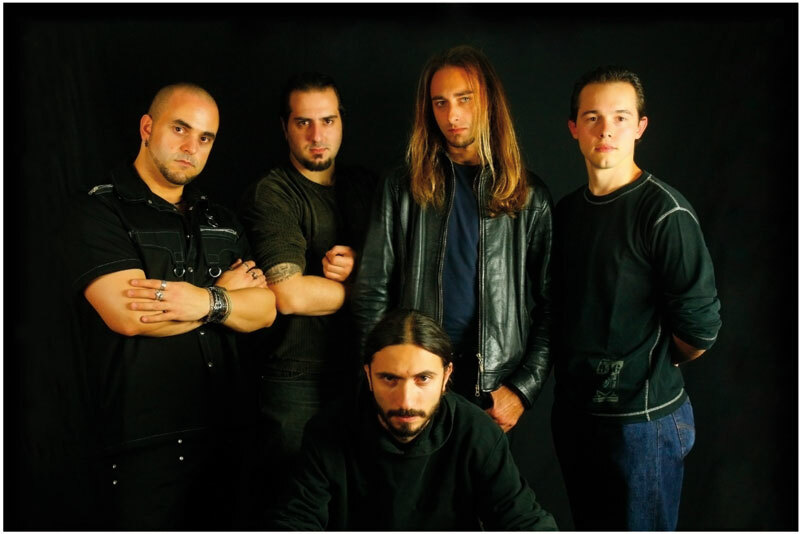 Begun in 2003, Turin-based power metal band Opening Scenery has been at their craft with a solid line-up since 2006. With the help of producer, Alessio Lucatti (keyboard player from Vision Divine and Etherna), the band unleashes their debut work, Mystic Alchemy. Above, Opening Scenery: why does one dude always have to knell on the floor? Generally, this is well-rounded album of European power metal, with classic heavy metal influences, and the spark of progressive metal. More specifically, Mystic Alchemy is rather standard fare. Actually, the music is the best part of the album. Ante Bellum, Seaquakes of Soul, and The Final Destination, the first part of the Mystic Alchemy suite, are intriguing and entertaining songs. But a conundrum lies in the vocals. Andrea Racco's vocals are deep and raspy, and he spend's most of his time straining and screaming, with some control at least. From the start, he was a massive distraction, unless when he mellowed out or is tempered by the background harmony vocals, as in parts of Seaquakes of Soul or Black Rose Kiss. That latter song, like many others, finds often 'off the rails,' while offering moments of interest. Later within the first part of the Mystic Alchemy suite, The Final Destination, Fabio Lione (Rhapsody of Fire, Vision Divine) appears, and you get welcome respite (and better singing). 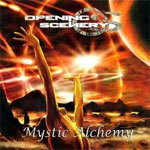 The combination of generally predictable power prog metal with lackluster, even intrusive, vocals, makes Opening Scenery's Mystic Alchemy only an average debut. On their debut, Mystic Alchemy, Italy's Opening Scenery offers some interesting, if not predictable, European prog-power metal, only to be made suspect by questionable vocals.